Energy Resources of Australia (ERA) has revised the rehabilitation cost for its Ranger uranium project in the Northern Territory following finalisation of its closure feasibility study. Mount Gibson Iron’s recommencement of operations at the Koolan Island iron project in Western Australia is scheduled to start by the end of March 2019. 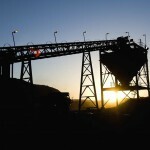 The Northern Territory Environment Protection Authority (NT EPA) has returned 30 recommendations after rigorously assessing Glencore’s overburden management project at the McArthur River mine in the Gulf of Carpentaria. OZ Minerals has announced in a quarterly release that it plans to accelerate pit closure at its Prominent Hill copper-gold operation. Anglo American will close its Drayton coal mine early as it fails to get approvals for its Drayton South project. 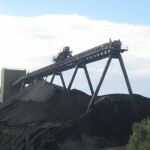 Glencore has announced that it will be closing its North Queensland Bowen Coke Works facility over the next few months. Another 40 workers have been cut from Glencore’s West Wallsend coal mine as it prepares to close. Yancoal’s Donaldson coal mine has moved to care and maintenance, with the majority of the workforce deployed to nearby mines. ABM Resources has announced it will cease operations on its Old Pirate gold mine in April, affecting 100 jobs. Approximately 380 workers jobs have been cut as Consolidated Minerals place the Woodie Woodie mine in care and maintenance. 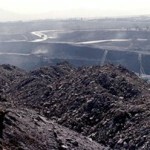 China is reportedly set to close 4300 coal mines over the next three years. 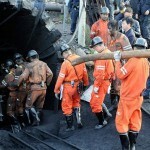 China has announced it will shut more than 1000 mines across four provinces in the country’s north and south. 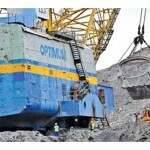 Solid Energy will close the Huntley East coal mine. 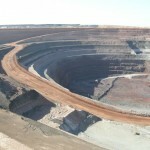 MMG has marked the end of extraaction at Australia’s largest open pit zinc site, the Century mine. 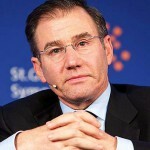 Glencore has moved to strengthen its balance sheet by announcing it will cut dividends, suspend operations at several mines, and undertake $US2.5 billion in capital raising. 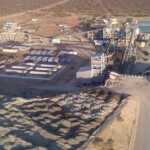 The Ellendale Diamond mine in the Kimberly region of WA is expected to close, leaving miners and support staff out of work . Consistent with its life of mining plan, Glencore’s West Wallsend coal mine will cease operations next year. Glencore subsidiary Optimum is considering a closure of some of its operations in South Africa, with a review likely for Australian coal operations. 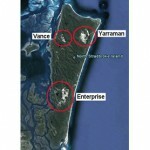 Sibelco will shut down its North Stradbroke Yarraman sand mine next year. 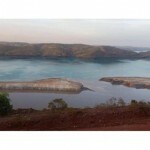 200 workers at Koolan Island mine have been made redundant as the company tries to find a solution for its flooded operation.